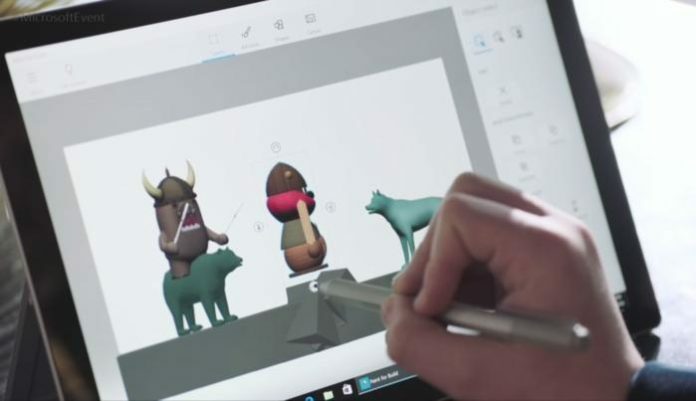 Microsoft is currently releasing an update to its Paint 3D app for users on Windows 10 Creators update. The app was made available to users on Windows 10 Creators Update. The latest update for the application comes with some new features and improvements for the app. The company has made improvements to the magic select tool which now allows users to crop out the background of the picture. By selecting the portion users can convert it into a sticker and can wrap it around different 3D objects. The update also adds new Line and Curve tools to the application which were available with the Original Paint app. The Line tools provides users with the ability to draw 2D lines with thickness and opacity controls. On the other hand the Curve tools lets users to add up to three inflection points on a line. The company has also added support for open standard file GLB which allows faster and efficient transfer of 3D assets by minimizing the file size and ability to use the files across other programs as a universal format. The latest update is currently live and users can get it by opening the app and alternatively is available to download via Windows Store link.